All teachers know the last 10 days before summer break are challenging to fill. It is nearly impossible to keep students engaged in educational activities. It is also difficult to teach kids amidst the chaos that the last two weeks entail. It is a struggle to fill time between field day, end-of-year assemblies, and year book signings. 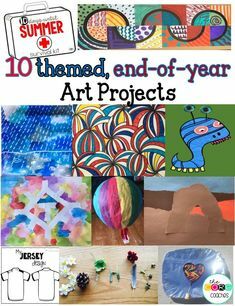 This year we have found the perfect combination of educational activities and time-consuming projects that will keep students engaged, entertained, and out of mischief. We had such amazing feedback from our popular resource, the 12 Days of Christmas in the Classroom, that we decided to do a similar countdown kit for the last two weeks of school. 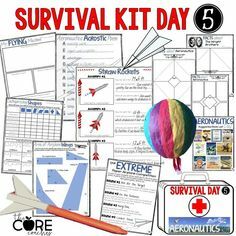 With these 10 survival kit lesson plans and activities, students will race to school, excited for what each new day has to offer. Teachers will be relieved that they don’t have to figure out what to do with the long, tedious days before summer break. Here is a sampling of some of the days included in our survival kit. Check it out! The countdown starts with “Summer Safety Day.” 1st and 2nd graders will read or listen to safety articles, then write safety tips they feel are important to remember this summer. 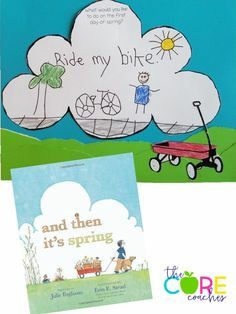 Students will also listen to a story from the suggested book list (or any book on summer safety) and write a summer safety flip book in response to the text. For math, students will review telling time. 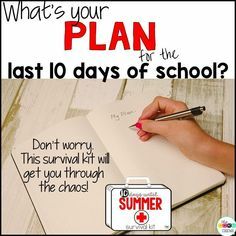 They will participate in a roam-the-roomactivity to figure out what time they need to apply sunscreen each day, then will complete a telling time worksheet. During science, students will conduct a sunscreen experiment outside. If time permits, students will design a pool safety poster, create a sunscreen commercial, make a melted crayon art project, and complete a safety word search. To download the summer safety word search for free click here. As a 5th or 6th grade class students will start germ day by independently reading the printable informational article on germs and then answering questions about germs on the graphic organizer. Next, students will write a public service announcement persuasive poster about germs. Then, students will find the exponential growth of germs for math. For science, students will have a blast trying to figure out if there are locations around the school that have more germs than others by using slices of potatoes. Students will record their findings on a recording sheet. This pack also includes other fun germ activities and a germ related craft. This is the perfect day to have students deep clean the classroom and get rid of all the germs for the end of the year. As a 3rd or 4th grade class you will start the day by reading a text from the suggested book list. 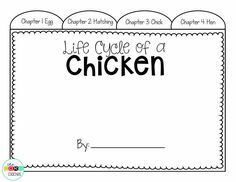 Students will then fill out an informational text graphic organizer. Next, students will read about the informational article on the Rocky Mountains. Based on the information learned, students will have to decide what 10 items they would pack for a camping trip. Next, students will create a paper sack nature journal. Then students will calculate areas in nature for math. This pack also includes a making-a-sundial science experiment, a fun nature scavenger hunt, a nature art project, and a list of camping songs to sing as a class. To download the nature scavenger hunt for free click here. 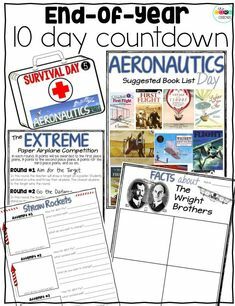 Each day includes lesson plans for reading, writing, math, science, art, and additional fun activities that will be sure to fill the entire day. Kits are available for grades 1-2, grades 3-4, and grades 5-6. Each kit is similar, but differentiated to accommodate the needs of the different grades and reviews appropriate math standards. To prepare for the 10 Days Survival Kit you will need some type of container to store each day’s materials. We purchased 10 gift boxes from Amazon and glued the printable suitcase label on each box. The read-aloud books are not included. Check out your local library. Most can be purchased online or in Scholastic’s book club orders. These books are just suggestions. 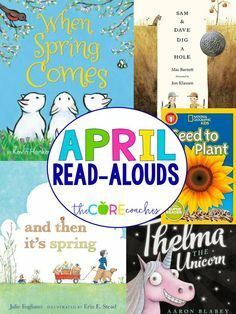 You can also choose your own books that go along with the daily theme.Impress your principal, parents, and even yourself as students engage in both fun AND learning right up until the last bell rings before summer! 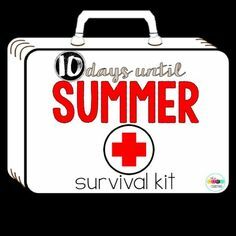 You won’t have to wonder what to do with those last 10 days before summer break ever again. This survival kit does take some preparation before launching it at the end of the year. We promise it will be worth it! 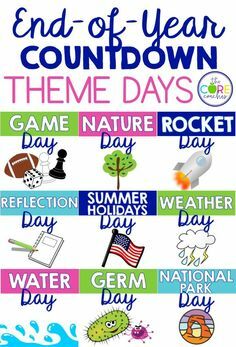 Not only do these themed days take away the teacher’s guesswork of how to fill the time each day, it also motivates students when each day’s box is revealed with exciting contents to keep them eagerly engaged all day long. These 10 themed days are the most fun (and academic!) way to countdown the days until summer in the classroom.